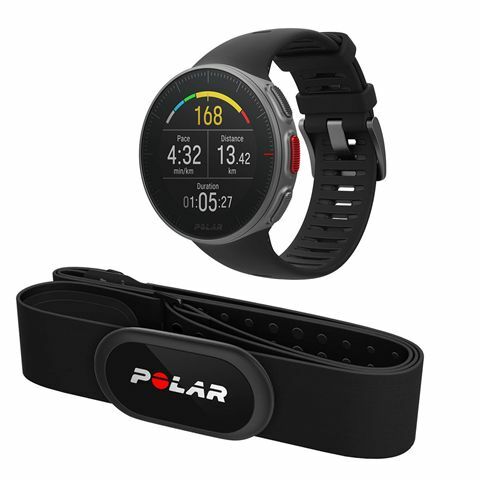 The Polar Vantage V GPS heart rate monitor set consists of a state-of-the-art, modern sports watch and Polar’s accurate H10 strap sensor – both combined work as your personal training device that tracks your every fitness move whenever you go 24/7. The device allows you to stay on track when it comes to your fitness and workout goals by measuring your progress and developing the most efficient training routines to achieve success. The Vantage V precisely measures steps, distance, calories, cadence, heart rate zones and general fitness level, as well as with 130 sport profiles, the watch is excellent for athletes and active people interested in a variety of activities, and offers sport-specific metrics e.g. in case of swimming there’s swimming style, pace, strokes, open water swimming, and distance metrics. The device is truly spectacular for users that are into an active lifestyle that involves plenty of cardiovascular training and even weight lifting. 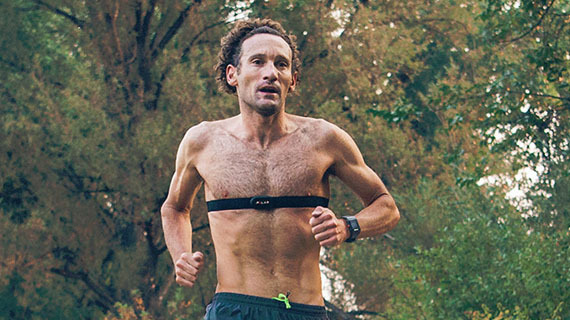 It’s also excellent for specific heart rate depended workouts, since with the H10 strap sensor measuring your HR zones is incredibly easy and comfortable. All the necessary data and feedback is shown on a 1.2'' colour display protected with gorilla glass, plus you can sync your progress wirelessly via Bluetooth or via a USB cable with excellent, user-intuitive Polar Flow application. 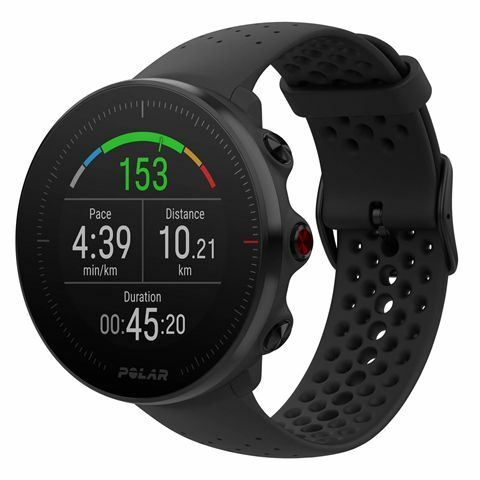 Providing an extensive data and information during any sport you choose to participate in, the Polar Vantage M GPS sports watch not only proves to be very reliable and important for athletes, but also looks stunningly beautiful with a sleek modern design. The watch measures a variety of stats over huge 130 different sport profiles and in training mode the battery lasts over 30 hours, thus you do have to charge it only now and then. Also, the device features GLONASS and GPS navigation to easy find your way around the running routes, and it creates personalised workouts, perfectly tailored to your fitness needs and goals. All information provided by the watch are optimised to its user – based on weight, height, age, gender, as well as it measures accurately heart rate straight from the wrist. This small and gorgeous device is suitable for swimmers since it provides metrics on swimming style, pace, strokes, open water swimming, distance, plus it tracks sleeping and recovery patterns to ensure proper rest and recovery from demanding training sessions. It’s a proper analytic tool that offers excellent feedback and guidelines on your workouts, and it provides a data share function, as well as social media compatibility. 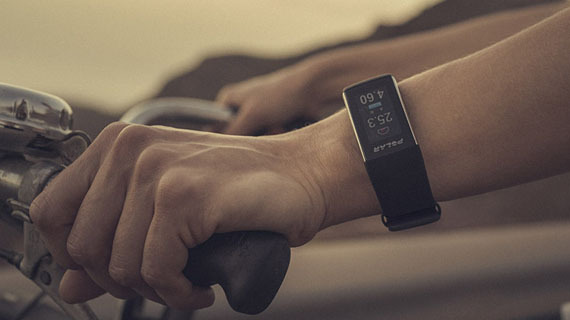 The watch monitors your activities 24/7, comes with a charging cable, yet it supports wireless Bluetooth connection to synchronise your data as well. 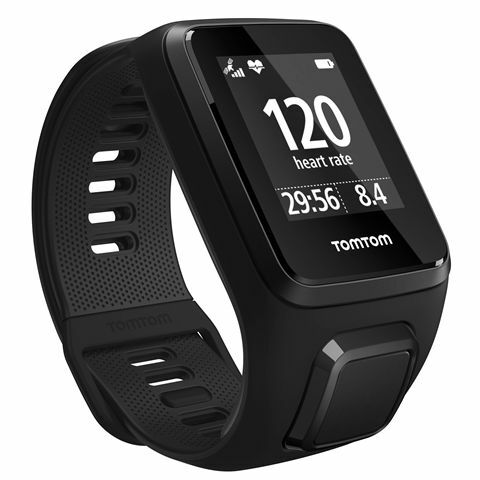 Designed to let you train to the beat of your heart on the wrist and track your activities 24/7, the TomTom Spark 3 cardio small heart rate monitor is a multifunctional watch offering GPS tracking with speed, pace, distance and location data during workouts. This sleek watch with ultra-slim design not only ensures easy one-button navigation through menus, but also enables you to check incoming calls and messages with Phone Notifications feature. It measures your steps, active minutes, distance and calories burned while swimming, running and cycling and can be a great partner on the gym. The device tracks your sleep patterns and allows for training in 5 different heart rate zones for faster results. Choose from over 50 Personal Workouts tailored to your fitness level, discover new trails with Route Exploration feature and earn Fitness Points while exercising or compare your fitness level with others of the same age and gender group thanks to Fitness Age feature. 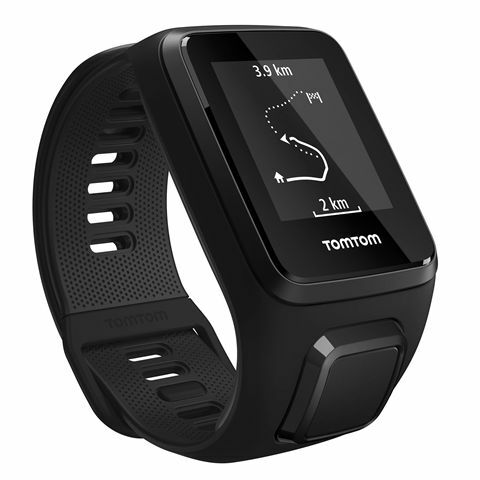 The TomTom Spark 3 large GPS sports watch is an ultra-slim device providing accurate GPS tracking for multiple sports including swimming, running and cycling and has been designed to monitor your activities all day, every day. It ensures one-button control for easy navigation through menus and has Interval Training mode to let you improve speed and fitness with custom work-rest sessions. Push your boundaries and discover new trails with Route Exploration feature and choose from over 50 Personal Workouts tailored to your fitness level to reach your goals faster. This multisport watch is water resistant up to 40m/130ft (5atm) and enables you to select one of your past workouts and race against yourself. 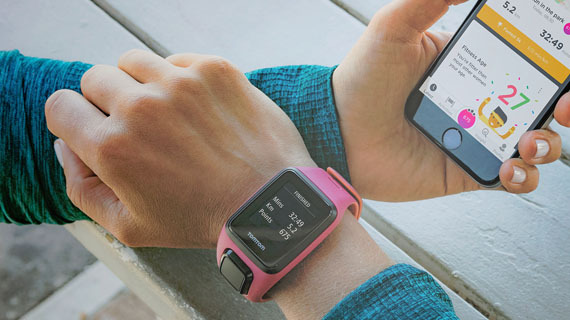 To check incoming calls and messages on your watch via Bluetooth®, there are Phone Notifications and the device is compatible with TomTom Sports app to offer personalized and actionable feedback on your progress. 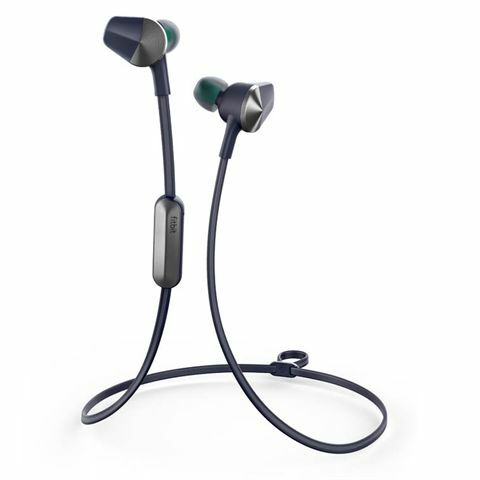 Stay energized and motivated on training days with the Fitbit Flyer wireless fitness headphones offering top-quality sound with crisp audio, powerful bass and dynamic range enhanced by WavesMaxx audio. Thanks to a durable, rain, splash and sweatproof design, they are perfect for high-intensity workouts and feature interchangeable ear tips, wings and fins, as well as an adjustable cable for optimum comfort and a customised fit. To let you easily control music and phone calls, there is a streamlined 3-button control box and a dual microphone and the headphones can be simultaneously connected to two devices at one via Bluetooth 4.2. They are supplied with a universal USB charging cable and a carry case for protection between uses. Look at the history of different sports and you will see how each one has evolved with the times, encompassing scientific advances, adapting to the spectators and enabling athletes to push themselves further and harder. This has never been clearer to see than since technology has been incorporated into sport, enhancing training, technique and competitive play, for both individuals and teams as a whole. Photo finishes were used in horse racing around the turn of the 20th century, a significant development which would go on to revolutionise innumerable sports. A few years later electrical scoring allowed for quicker and more accurate timekeeping and results. Jump to the 21st century and a whole host of breakthroughs have led to improving or modernising equipment, playing areas and refereeing with super-slow motion replays, goal-line technology, ball tracking and prediction, and much more. For the individual athlete looking to understand their bodies and performance better and find a way to eke out the 'extra one per cent' that will accelerate them ahead of the rest, there is a multitude of technology available, from sport-specific equipment to general fitness accessories. For example, GPS and golf range finders will feed you precise course information so you can adapt your shots to the situation and not just rely on experience and eyesight. Cycle computers will deliver live information about your workout or race. On the other hand, heart rate monitors, which became popular for use in sport in the 1980s, can check that you are working hard enough to get your pulse up and burn calories efficiently and at the same time help to prevent dangerous overexertion. 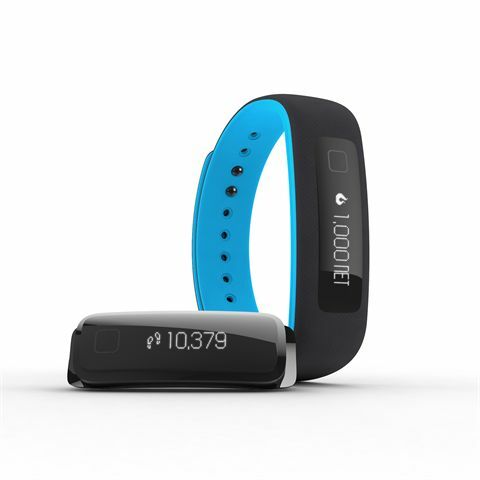 Activity trackers will allow you to set goals and hit them, informing you of vital performance statistics on the way. Whatever your sport, whatever your level and whatever your goal, there will be technology to monitor and boost what you are doing. Some say that technology is no replacement for natural talent and hard work, but combine devices, cameras, trackers and so on with your attributes and it certainly can help to give those extra few percentages in training which will, undoubtedly, translate to the field, track, court, pool or course.